The British love affair with Indian food is a long and unstinting one – you only have to walk past the 45-minute queue of people outside Dishoom waiting for a bacon naan roll every Saturday morning to witness this in action. With a curry industry worth £4.5 billion (employing 100 000 people), demand for the nation’s favourite cuisine shows no sign of slowing down. But with curry houses sitting on virtually every high street, the challenge lies in delivering something a bit different. 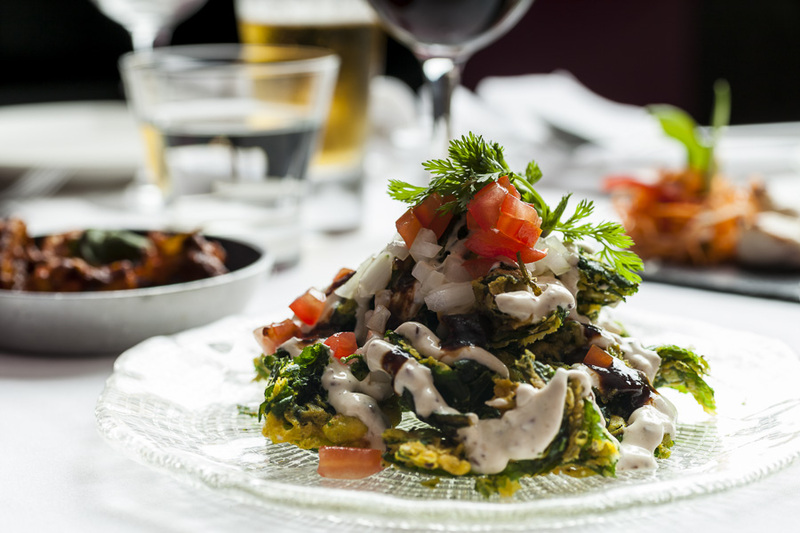 Earls Court restaurant Thali, headed up by Dila Ram, formerly of Bombay Brasserie, is a cooler, slicker answer to the traditional north Indian restaurant. Cool and slick doesn’t have to be gimmicky – Thali isn’t adhereing to the ‘every other restaurant in London right now’ checklist of filament lightbulbs, mistmatched crockery and polished concrete, but the simple white walls are decorated with vintage Bollywood posters and there’s a beautiful old bicycle rickshaw mounted on an exposed brick area above the restaurant’s staircase. So that’s the look, what about the food itself? Chef Dila Ram’s menu wants you to break out of your Tikka Masala rut and try a range of lesser-known Indian dishes on offer. We began with the (recommended) crispy fried spinach, which was a deliciously sweet riot of flavour – and as far away from an actual plate of spinach as it gets – with some particularly succulent grilled scallops doused in a creamy tomato sauce. To follow we ordered some incredibly flavoursome lamb chops in masala spices, along with achari chicken and yoghurt. 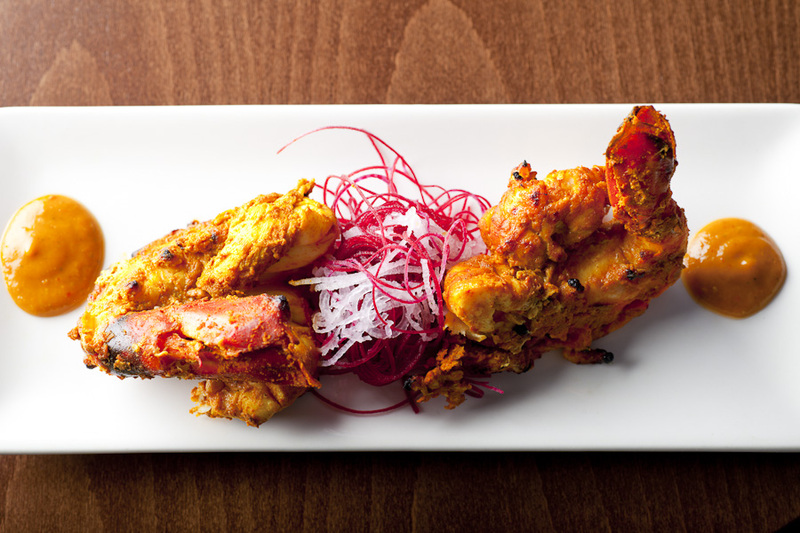 The menu also cuts away from the chicken-lamb-prawn-only format to offer rich game plates like Tandoori rabbi and Venison buna, with each dish marinated for 24 hours before cooking to squeeze every ounce of flavour. The verdict? Fresh ingredients with a lot of love put into them – your tastebuds will sing. We recommend topping off all that spice with a scoop of cool homemade mango kulfi.